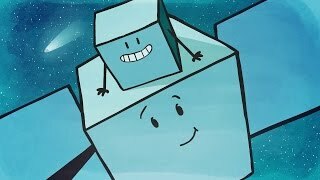 Space & Astronomy Videos for Kids! 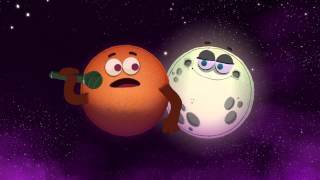 Let the StoryBots DJ revolve it with sweet beats as the rapping sun and planets give you their spin on the whole solar system. 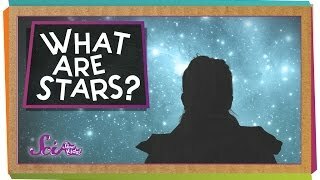 In this episode of Crash Course Kids, Sabrina gives us some perspective on this whole Universe thing and how we fit into it. ISS for Kids! (Part 1) "Launch"
Since the moon is as dry as Earth’s driest desert, we’ll have to bring water with us. The water recycling system used on the ISS can help our supply last. The Airbus Foundation Discovery Space is the place to learn how things fly, how they land, and even more. Airbus Foundation Discovery Space: How to fly in space? Flying to the moon is tricky business, especially since you can’t just head in a direct line. How can you plan your trajectory to the moon? A manned spacecraft needs a soft landing, but it’s all in the timing. Fire up your thrusters and hope you’ve picked the right spot to touch down. Holding our breath isn’t an option on the moon, we need sources of oxygen to sustain life. Let’s start by importing some plants to help us breathe easy. There are only so many groceries you can bring to the moon, so how do you produce food in a place with no air? Here’s now to cultivate lunar food sources. One Earthling’s trash is another astronaut’s treasure. We can turn waste products into valuable sources of heat and fuel, and recycled materials. An entirely new landscape awaits when you land on the moon. Will you choose one of the poles or dig underground – where will your moon village be? Airbus Foundation Discovery Space: What materials to build your home on the moon? When you think of building, you probably think of bricks – but moon rock is an entirely different material. So what’s the best way to build on the moon? About 180 craters appear on the moon every year, not to mention being hit by golf ball-sized meteors all year long. How do we stay protected? A lunar day lasts for 14 Earth days, but night can be just as long. Is solar energy our best bet for powering the moon base? And how do we make it last? Just one year on the moon maxes out the amount of solar radiation we can handle over a lifetime. What’s the best sunscreen for moon life? Airbus Foundation Discovery Space: What experiments can you do on the moon? The aim of the moon mission is to research how to live on other planets. That means not only experimenting on the environment – but also on ourselves! Getting stuff done on the moon requires more effort than what the first settlers can manage by themselves. Robots to the rescue! Top tips for an unforgettable moon adventure include impact craters housing ancient organisms from the days of the universe’s creation. How best to travel on the moon with rocks, boulders and craters in our way? And when settlements expand, what will our lunar infrastructure look like? 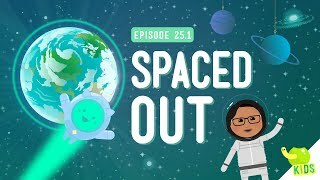 This video is about the asteroid belt that contains asteroids, the dwarf-planet Ceres, and more! Recommended Grade Levels- Science 3rd, 4th, 5th, 6th, 7th, 8th, High School. Lets hit 10 LIKES?! Make to smash that like button and of course SUBSCRIBE if you haven't yet. What are you waiting for? The Science Kid is a scientific genius in a 12 year-old body! I post Science Videos on about everything Science. 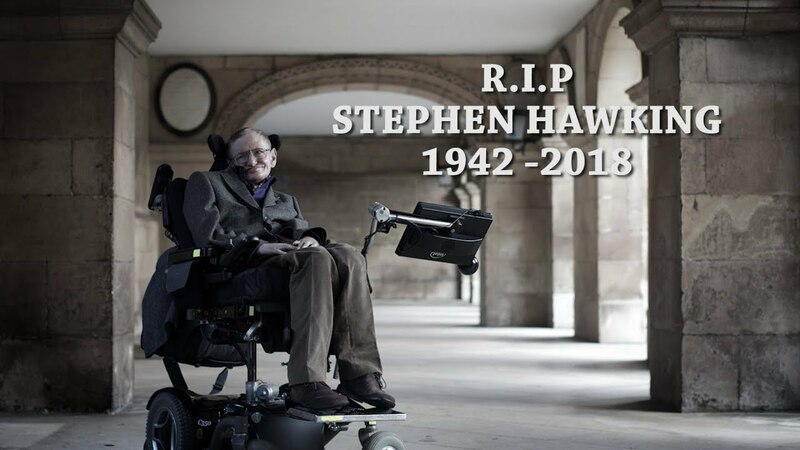 I hope you enjoy 😊 Remember "Science Can Always Be FUN!" The Asteroid BELT IS CRAZY! What's type of SCIENCE should we do next? Comment down below!